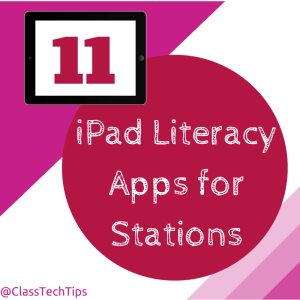 Class Tech Tips: 11 iPad Literacy Apps for Stations! Many teachers ask me what to do with just a handful of iPads. Whether you are in a second grade classroom with two iPads, or a library with five devices you can create stations for students of all ages. Here are a some of my favorite apps for creating stations in your classroom – add your favorites to the comments section!